The Walt Disney Studios announced today that Star Wars: The Force Awakens has set a new all-time domestic debut record with an estimated $238 million. With a five-day international debut of $279 million, the film has taken in $517 million globally. Here's what The Walt Disney Studios chairman Alan Horn had to say in a statement about this new box office record, while thanking the fans for not posting spoilers on the Internet. - Biggest Thursday preview gross with $57M. - Biggest Friday and biggest single-day gross with $120.5M. - First film ever to post a single day over $100M. - Fastest film to $100M and $200M. - Biggest December debut (nearly 3 times previous record of $84.6M). - Biggest IMAX Thursday night preview ($5.7M), single-day ($14M, Friday), and weekend ($30.1M). - Highest theater average for a wide release ($57,568). - Biggest opening weekend of all time in UK (4-day), Australia, Russia, Germany, Sweden, Norway, Finland, Austria, Poland (3-day), Denmark (5-day), Romania, Hungary, Bulgaria, Croatia, Ukraine, Iceland, Serbia, New Zealand. Second biggest opening weekend in France, Belgium, Israel, Chile. - Biggest IMAX global debut of $48 million. The Force is strong with critics and audiences, whose enthusiastic reactions have powered a 95% Rotten Tomatoes score and an excellent A CinemaScore, with an A+ among women and younger audiences, for Star Wars: The Force Awakens. There is one record it didn't break, though, which Jurassic World was able to hold on to. Star Wars: The Force Awakens earned $279 million in international territories this weekend, for a worldwide opening weekend tally of $517 million, just behind Jurassic World's mark of $524.9 million. Star Wars: The Force Awakens is just the second movie ever to earn more than $500 million globally in one weekend, behind Jurassic World, and its international take of $279 million is the third best of all time, behind Jurassic World's $316.1 million, which includes a whopping $96 million from China, and Harry Potter and the Deathly Hallows - Part 2, which earned $314 million in its international opening weekend back in 2011. 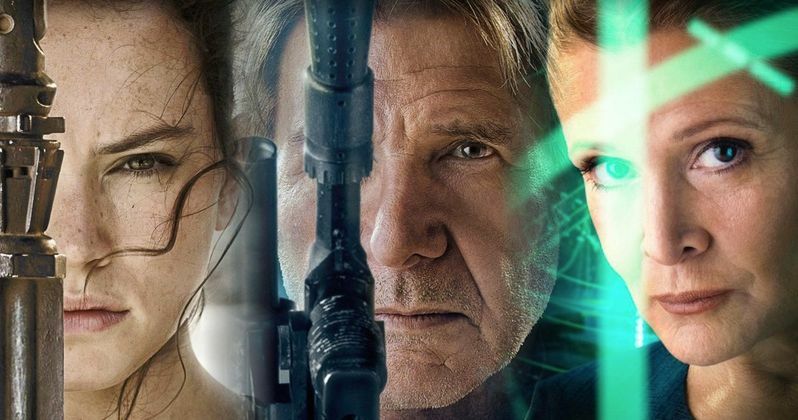 What do you think about Star Wars: The Force Awakens' amazing opening weekend?